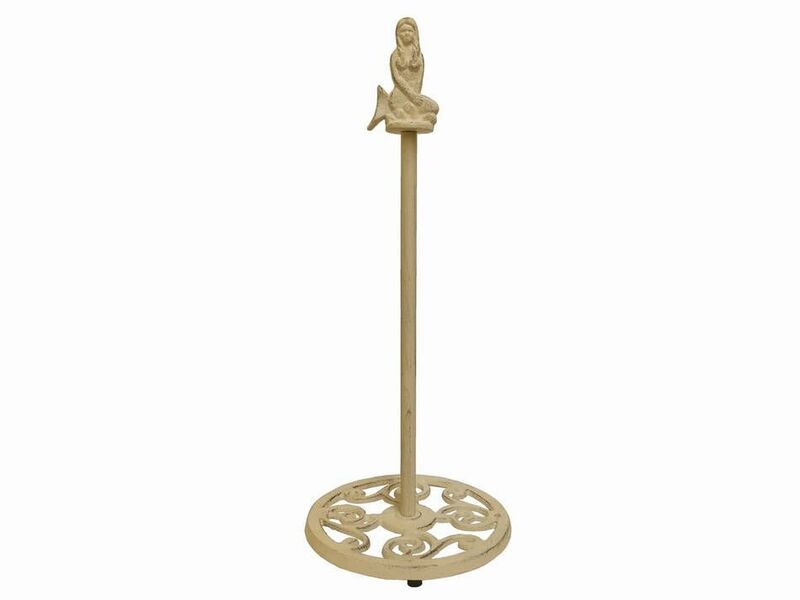 Aged White Cast Iron Mermaid Extra Toilet Paper Stand 16"
This Aged White Cast Iron Mermaid Extra Toilet Paper Stand 16" is perfect for any beach inspired bathroom. This decorative toilet paper holder adds that coastal touch to your beach theme bathroom . Made to hold two extra toilet paper rolls, this durable toilet paper stand is crafted from cast iron by our master artisans.